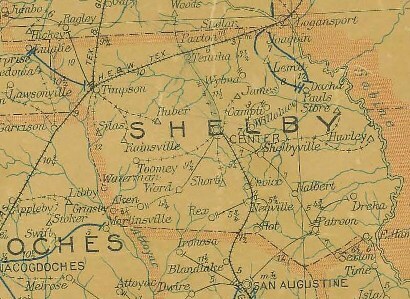 The community was large enough to warrant post office which was in operation from 1897 until 1908 (as shown on the postal map below). Although population figures are unavailable, it maintained a church (St. James Basptist) and school, which shared the same roof. 1938 saw the consolidation of the school with other regional schools and the community, without a single anchor business, soon declined to the point of non-existence. The name wasn’t exactly a draw for residents, but there’s no proof to the rumor that former residents of Hot moved to Parker County’s Cool, Texas.